Since July 7th 2014 I am changing rules for sending answers to me. Since now, you will have to send answers within 24 hours after you logged found it. Also each cacher will have to send answers only for him/herself (one nick = one email with answers), sending answers for group of cachers will be ignored and answers will be accepted only for sender. If answers are nor received within 24 hours, your log will be deleted without warning (warning is here in cache description). Thanks for understanding. RIPPLE MARKS are sedimentary structures (i.e. bedforms of the lower flow regime, mostly in sandy bottoms) and indicate agitation by water (currents or waves) or wind. 1) Symmetrical ripple marks (also called wave-formed or bidirectional) are produced by waves or oscillating water. They have almost sinusoidal profile. 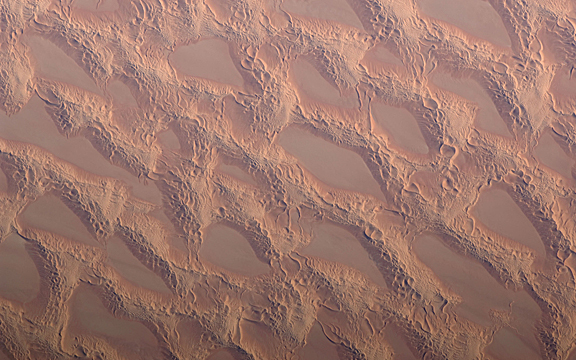 These ripple marks indicate an environment with weak currents where water motion is dominated by wave oscillations (sand grains are moving in both directions, forward and backward). 2) Asymmetrical ripple marks (also called current or unidirectional) are asymmetrical in profile, with a gentle up-current slope and a steeper down-current slope. Because of this unique geometry, asymmetrical ripples in the rock record may be used to determine ancient current directions or paleocurrent directions. 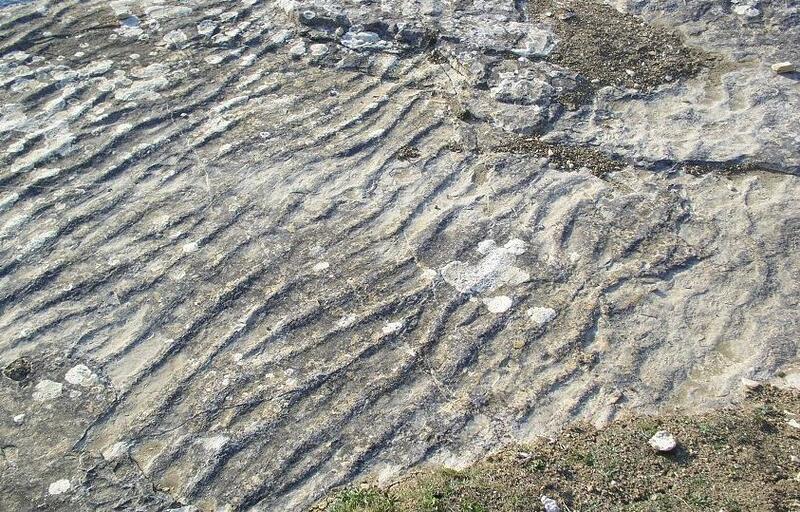 These ripple marks are formed in fluvial and aeolian depositional environments (sand grains are moving only in one direction). 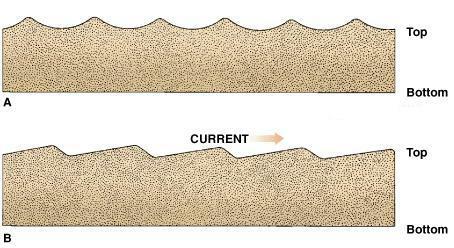 In most present-day streams, ripples will not form in sediment larger than coarse sand. Therefore, the stream beds of sand-bed streams are dominated by current ripples, while gravel-bed streams do not contain bedforms. The internal structure of ripples is a base of fine sand with coarse grains deposited on top since the size distribution of sand grains correlates to the size of the ripples. This occurs because the fine grains continue to move while the coarse grains accumulate and provide a protective barrier. 1. What type of ripple marks can you see on Dinosaur Ridge at this location? 3. By what organism may the ripple marks have been preserved? 4. 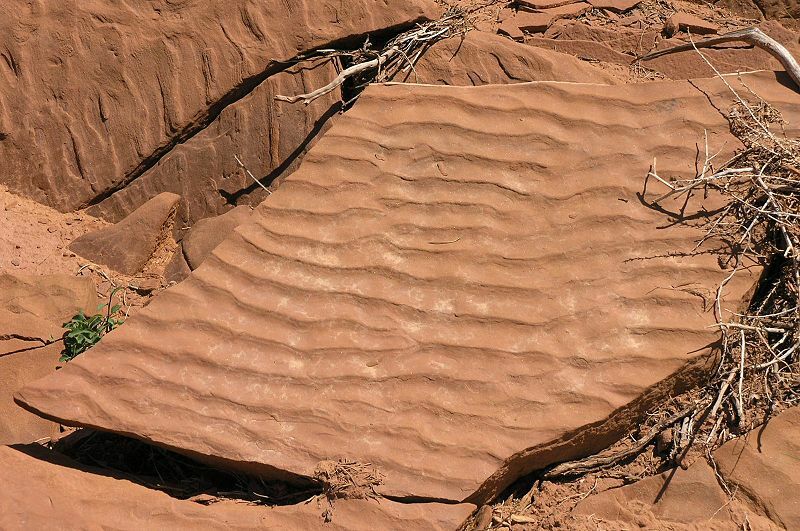 In what type of sandstone you can find the ripple marks here? And please post a picture from earthcache location. (DO NOT INCLUDE THE SIGN IN YOU PICTURE). PREVIOUS VISIT DOES NOT COUNT!! "FOUND IT" logs will be DELETED WITHOUT FURTHER NOTICE if the answers are not received and the picture is not uploaded within seven days of the post date. sources: Harold L. Levin, The Earth Through Time, 7th ed., Willey Interscience, 2003.